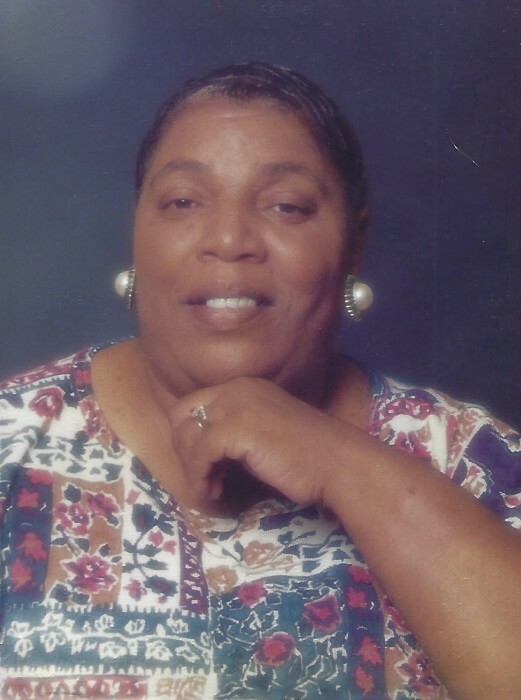 Doretha Cannion Jones, 80 years-old, slept away peacefully on Saturday, February 2, 2019, surrounded by her family. Her strong will to live, unwavering faith in God, and the love and prayers of family, friends, and many supporters carried her through the past 3 months of recovering from multiple strokes. Yet even throughout her own struggle, she was always concerned about the wellbeing of others. She was born on July 31, 1938 in Jacksonville, Florida to the late Julius Cannion and late Alberta Cannion-Williams. She is the oldest daughter of Julius and Alberta amongst her sisters, Julia Mae Hawkins and Cheryl Wells (Eugene), preceded her in death as did her youngest brother, George Williams. After high school at Stanton Senior High School, she met her Sweetheart, Rev. Thomas Curtis Jones, Jr. Married for 63 years, Doretha and Thomas raised their children, Curtis Lester, Vanzetta, Thomas Curtis (JoAnn), Julius (Marcia), Boaz (Edith), Carletha (Daniel), Timothy (Aretha) and Marlow (Elaine). Their eldest daughter, Vanzetta, and son, Boaz, preceded her in death. They also raised Vanzetta’s daughter, Novice Cassandra Hester (George), as their daughter. After the death of Doretha’s beloved sister, Julia Mae, they raised three of her six children, Darrell, Pamela and Tracey. Doretha and Thomas also raised two of their grandsons, Lester and Carlvay, and granddaughter, Joanna. Doretha was also the caregiver for her brother-in-law, Lewis Jones, for over 40 years until his death in 2001. Possessing a true servant’s heart, Doretha faithfully cared for family and friends through sewing, crafting, and delicious cooking and baking from scratch including her homemade cakes. A woman of faith and the heart of the Jones family, Doretha shaped their spirituality by her tireless Christian example, including serving as the First Lady beside her husband for over thirty years, and through various Christian groups and activities throughout their childhood. With a real zest for life, she loved to write, to read, and doing crossword and word find puzzles, but most of all she love being a servant of the Lord. She was also an advocate for education. She encouraged her children and their descendants to never stop learning, as she believes that knowledge is power. After raising her children, she worked as a private school educator for over twenty-five years. Doretha Cannion Jones possessed a contagious smile and an entertaining sense of humor. Throughout her life she maintained a sweet and simple demeanor that won the trust and hearts of many, who even now are being changed by her witness of constant nurturing love and faith in God. Her signature gift of joy, shown through her constant smiling, laughter, and joking around, will never be forgotten.